We have available black limousines and an estate car to take the family from your home to the funeral, which can either return you home afterwards or take you on to another venue, such as where the funeral wake is being held. Alternative transport is available, including vehicles in colours other than black. 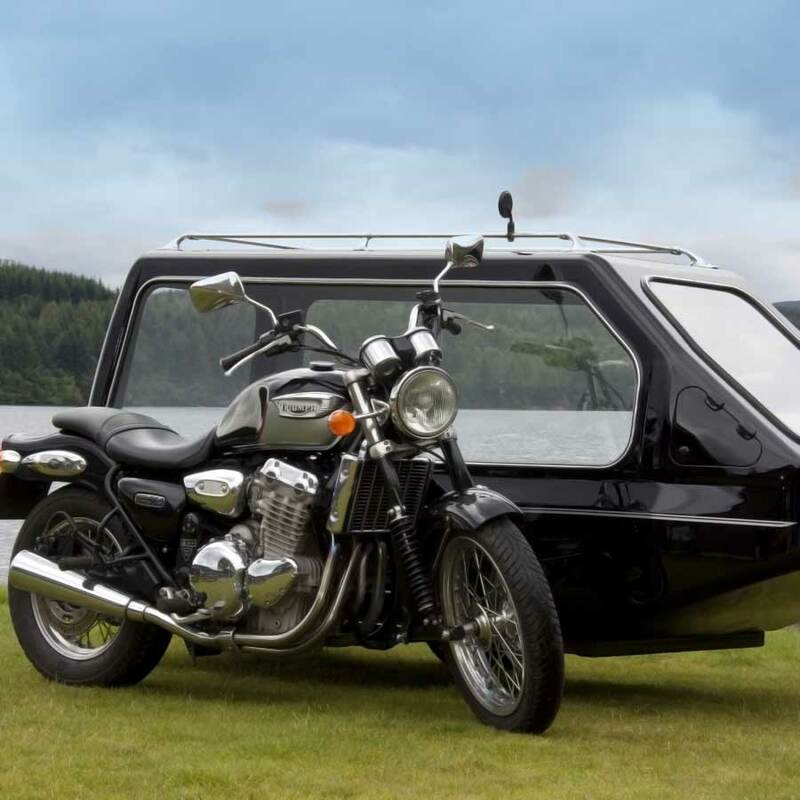 We can also arrange more unusual hearses such as horse-drawn, motorbike and sidecar hearse, pushbike and sidecar or even a VW Campervan. A private Chapel of Rest is available at Uckfield and Lewes if you wish to have time with your loved one before the funeral takes place. Sometimes families prefer the coffin to be taken to their home the day before the service takes place, or into the Church in advance of the funeral to rest and we are happy to facilitate this. Occasionally, families may wish to have a piper or a jazz band play a special piece of music; these can be arranged upon request. In most instances we are also able to provide your choice of music to be played during the service if there are special songs that you would like to include which may be played on CD, iPod or organ. Crematoriums have their own sound systems, and most are also able to offer visual tributes (photos and short films) too. We can put together and print a personalised Order of Service Sheets to include photographs and the funeral service content as well as any other information you require. The floral tributes from family members can be ordered through us, or the family may wish to arrange these directly with the florist. These can be sent care of our office so that they can be placed in the hearse before the funeral, ready to travel alongside the deceased to the service. This can be arranged in the family home or at another venue of your choice if required. We are happy to advise on available locations and caterers. As part of our service we offer to compile a list of the donations received at our offices for your chosen charities. These are collected together and then sent on to the named charity. We will send you a letter of confirmation advising the total amount received and the names of people that have contributed. We have a range of Charity and Hospice information leaflets available in each office if you are unsure of which charity to nominate. We will prepare any Notices that you wish to have published in the press and arrange for these to be printed in the edition(s) of your choice. In addition to the services detailed here, we are able to provide supplementary services, including ‘out of area’ removals and funerals and assist with repatriations. We always make arrangements to your specific requirements wherever possible and aim to exceed your expectations.